Pfffft! Drop some loot and hear it toot! 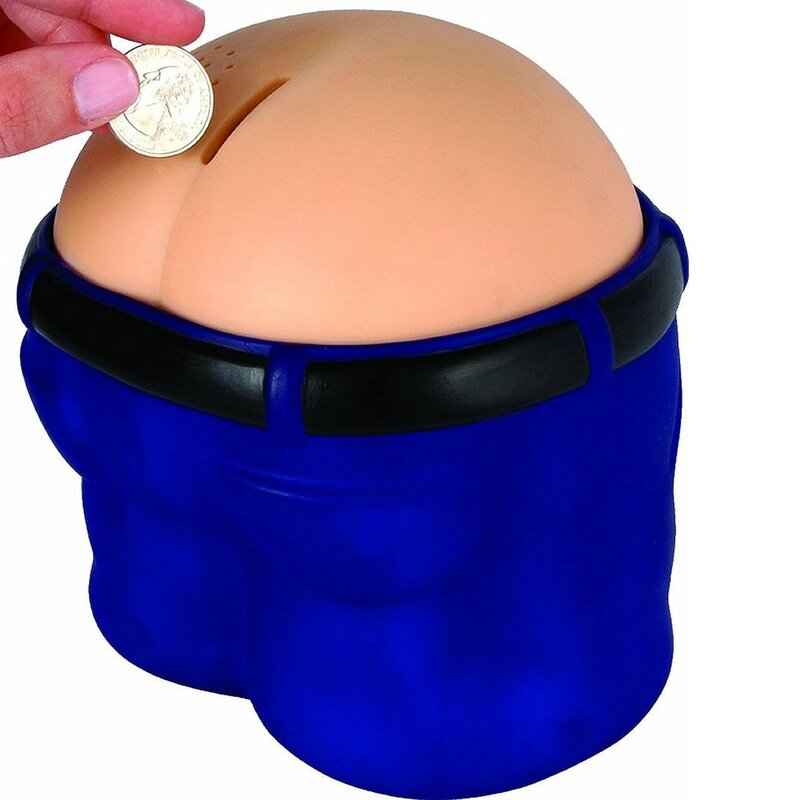 Fanny shaped coin bank will make fart noises when coins are dropped in the slot. This hilarious farting bank makes a perfect gift for the jokester in your life. Requires 3 AA batteries (included), no assembly required.